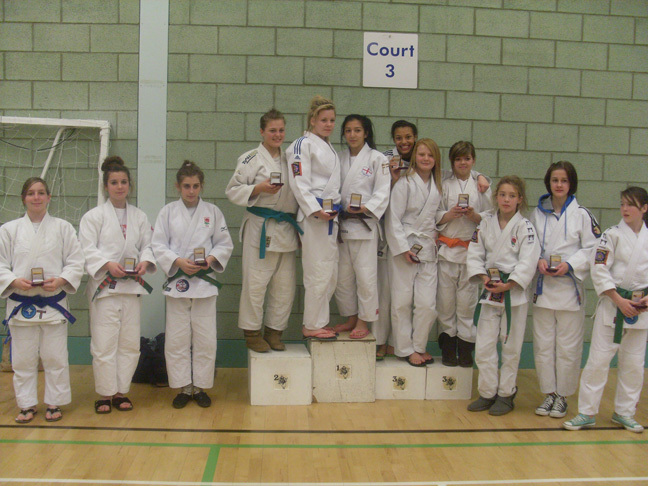 On Sunday 27 November Nottinghamshire Judo took five teams along to the annual Bev Price Team Championships that were held at Walsall. 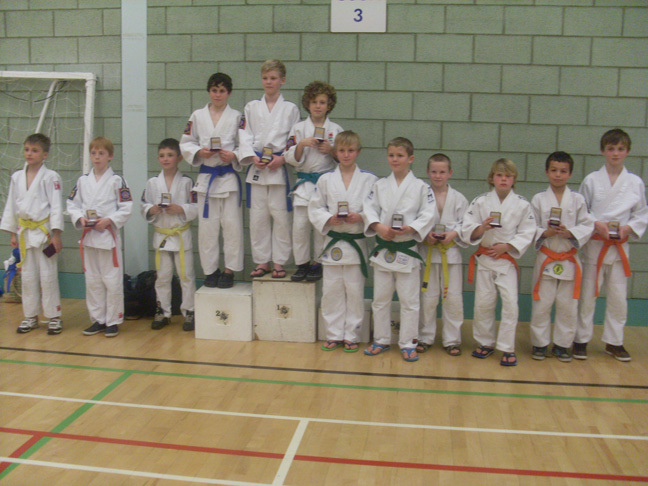 This was a high standard event with teams attending from Pinewood , Tonbridge and other top clubs throughout the UK. The outcome was better than we can ever imagined for these developing players as we secured a medal in every category entered returning with one team Gold, one Silver and three Bronze’s. Our first team bought into battle was the Boys Lightweights (Charlie Young, Ethan Ward and Jack Hopewell). They were drawn in a pool of five and therefore had to secure three wins from four to progress to the next round. It did not start too well for this young team losing 2-1 to Harlow & Bishop’s Stortford, however they kept their heads up and won their next three team matches 2-1 (Samurai), 2-1 (Pyford) and 2-1 (Enfield), these results were enough to see the boys through the knockout stage. In the knockout stage the boys received a bye through to the semi-final where they met 2A’s Judokwai, they won the first contest but then lost the remaining two so our team would now have to fight for a Bronze. 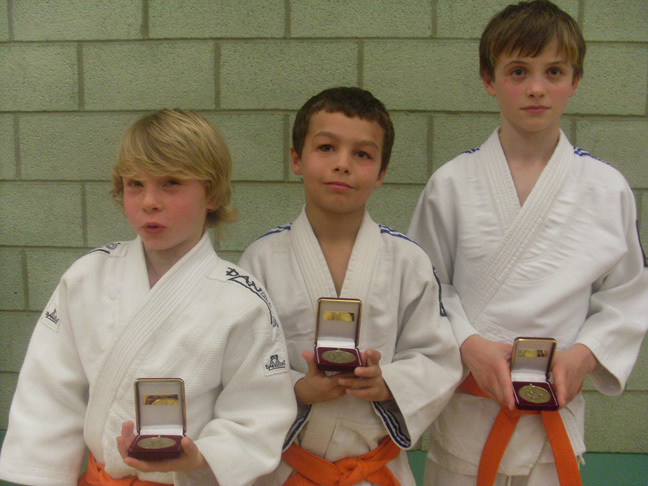 In the Bronze final the boys were against a team from Tsukuru Judo Academy, after the first two contests it was 1-1 and Jack needed a win to secure the Bronze, the contest went to the full three minutes and was a draw, therefore these two boys now had to compete in Golden Score to decide the victors. Jack took the victory scoring a Waza-Ari throw and therefore earning a Bronze medal for the team. Next up was the Girls Lightweight team (Mollie Mellors, Lucy Paton and Marija Beliukeviciute), they were place in a pool of six and would need to win at least two team matches to secure a medal. The girls got off to a great start winning their first match 3-0 (Erdington), however they then lost their next two 2-1 (Tsukuru Judo Academy), 2-1 (Pinewood). In their fourth match they were up against Tonbridge and managed a 2-1 team win, they were then onto their last match which was against Samurai and if the girls won this team match they would secure a Silver medal. The match ended in a draw which was enough for Samurai to take the Silver and our Girls the much deserved 3rd Place Bronze. We were now onto the Boys Heavyweight team (Josh Lloyd, Harvey Penfold and Jack Dreher) and like the lightweights earlier they were drawn in a pool of five and needed to finish in the top two to go through to the next round. The boys stormed through the pool finishing in second place winning three out of the four matches 2-1 (Harlow & Bishop’s Stortford), 3-0 (Tsukuru Judo Academy) they then lost to Tonbridge 2-1 before winning their final team match against Mercia 3-0. The boys were now through to the knockout stage and they too received a bye to the semi-final where they met Tonbridge and went down 2-1 to the eventual Gold medallists, they were up against Rochdale for a Bronze. This was a close match with the first two contests going to the full three minutes, the first was a Notts win and the second was a draw. 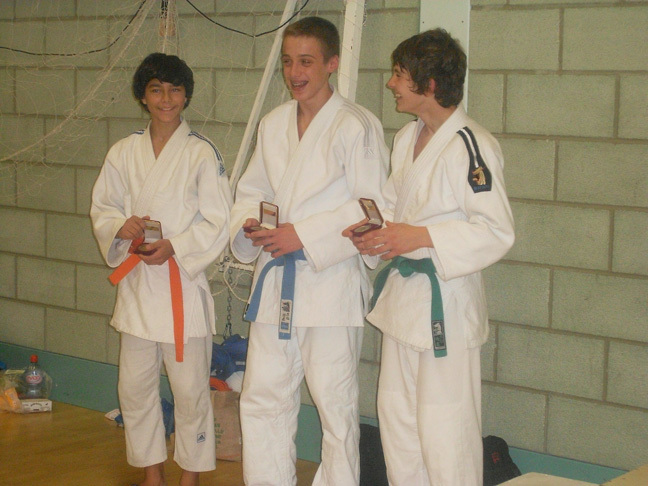 It was all on the last contest and the team win and Bronze medal was successfully secured by Jack in the final minute throwing his opponent for Ippon. 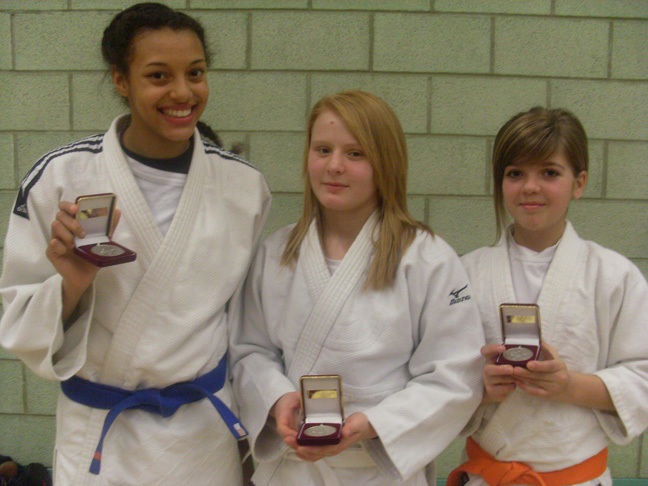 It was now the turn of the Girls Heavyweights (Jessica Bayley, Dominique Palmer and Shannon Stevenson). They were drawn in a pool of four and would have to two matches to secure a place in the next round. The girls won their first two matches 2-1 (Harlow & Bishop’s Stortford) and 2-1 (Samurai) before meeting Pinewood where they were beaten 3-0, the first two wins were enough to secure a place in the next round. In the semi-final the girls met a team from St.Albans who had finished top of their previous pool, this did not deter the girls and they finished the match winning 2-1. They were now through to the final and were to again meet Pinewood who beat them in their earlier pool, even though the girls put up a much tougher contest against this elite team the Pinewood girls were again victorious winning the match 3-0, and our girls taking a hard earned Silver medal. 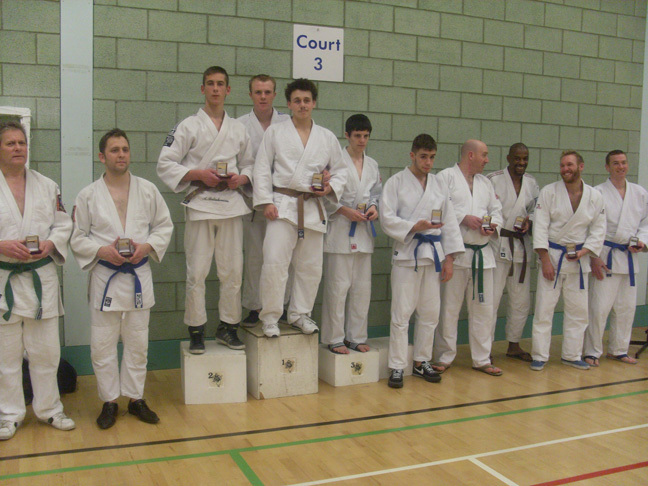 The last team up to represent Nottingham was the Men’s Kyu Grade team (Arunas Beliukevicius, William Humphreys and Jaden Hewitt). There were seven teams entered into the category and our team was drawn into a pool of three, needing only to win one contest to move into the semi-finals. 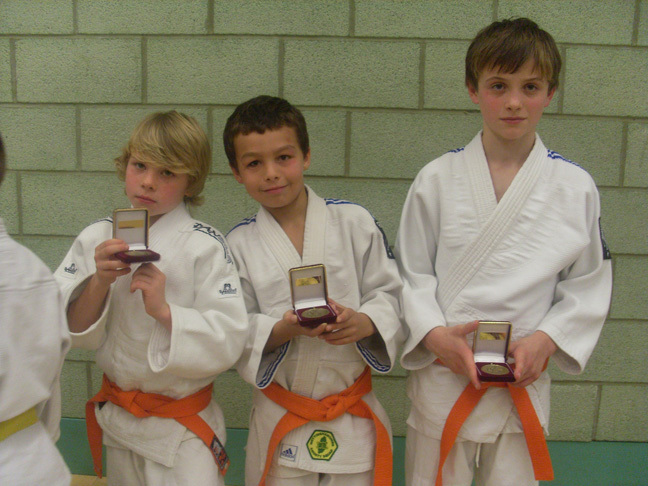 These young men breezed through their pool finishing in first place, winning 3-0 (Tsukuru Judo Academy) in a team total contest time of 63 seconds, this must have been the quickest team victory of the day and then beating Pinewood 2-1. 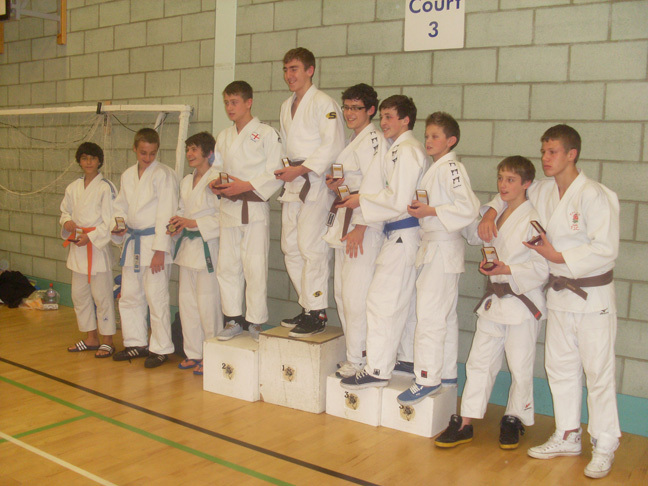 In the semi-final they met another team from Tsukuru Judo Academy where they again took a 3-0 team victory; this now put them in the final against a team from 2A’s Judokwai. After the first two contests it was 1-1 and it was now on Jaden to try and seal the victory for Nottingham against this much older and heavier opponent, the size did not phase Jaden and after two minutes of contest time he threw his opponent for an Ippon securing a team win and a Gold medal for this young team. This was a fantastic day for our teams from Nottingham and all the coaches are extremely proud of what they have achieved, we would like to thank all the players for their commitment to these Nottinghamshire teams and also to their parents who continue to support their children in our sport.